Building your own website is a great way to make money online. 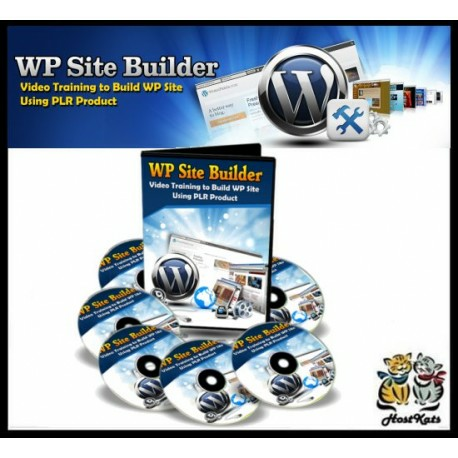 You're going to get 17 videos on how to setup your own WP site by using PLR Product. What if you had your own website where you can sell your products and receive payments? Building your own website is also a great way to make money online. You simply sell your products, you'll start to attract more and more visitors in turn, you'll be able to make money from selling your product that you deliver from your site. Once you've developed a product to start selling, it's just a matter of configuring your Wordpress site. What can you have in your website? Video 7: Installing Plugins (Part 1) To Make Your Site A Complete Sales Funnel That Is Ready To Deliver Your Product And Take Payments. Video 8: Installing Plugins (Part 2). Video 10: How To Create WP Pages (Part 1) For Example, Creating Your Thank You Page, and Your Squeeze Page. Video 11: How To Create WP Pages (Part 2).